It's no secret that the heart of a teacher is probably made up of sticky notes, colorful crayons & markers, whiteout tape, super sharp pencils, and a blast of glitter. We LOVE school supplies. 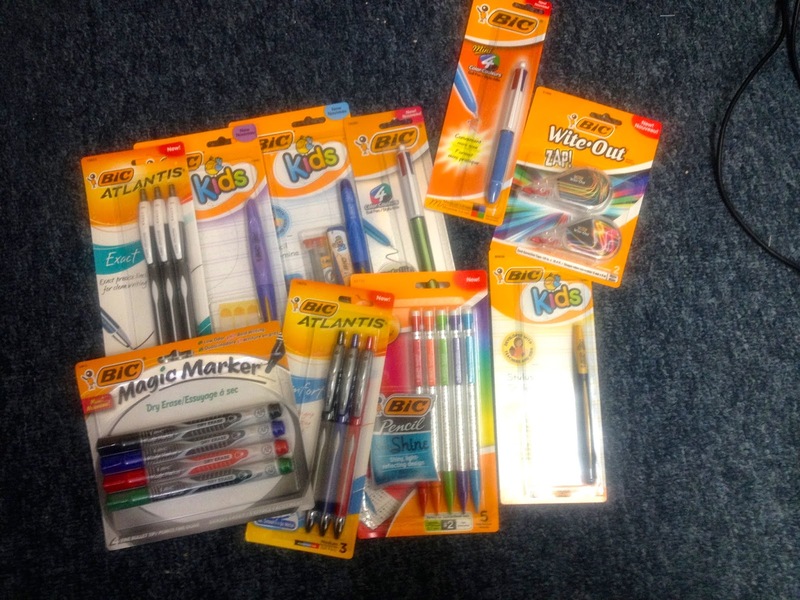 So when I was contacted by Bic to see if I would like to receive some of their supplies and write about their newest campaign, I of course said YES! 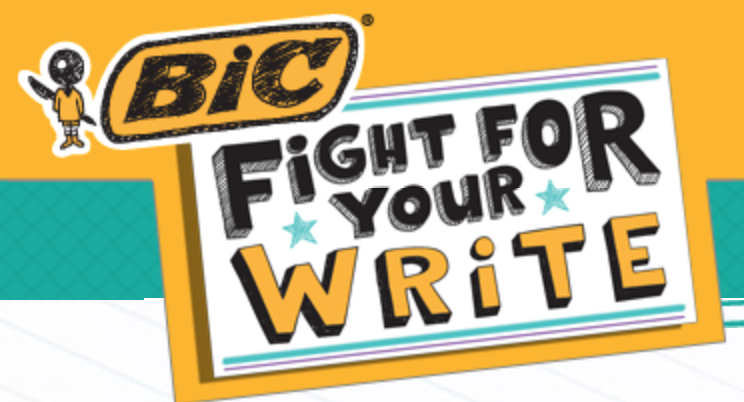 In addition to their awesome supplies they also have an awesome and inspiring campaign going on right now called "Fight for Your Write". The goal - to keep encouraging students to WRITE....with their hands! The art of handwriting is slowly being lost in this day and age of digital technology. But isn't it still important? because it distinguishes us and promotes individuality." become better readers, boosts their confidence and sparks their creativity." These two statements are from the Bic's - Fight for Your Write site. And I agree wholeheartedly. After all, when I first think of even just the 'act' of handwriting, I immediately think of my students. I can tell whose paper is whose simply by looking at their unique handwriting. Even in the digital world, we are SURROUNDED by handwriting aka fonts. No longer does Times New Roman fit all the needs of a person. Instead, people like Kimberly Geswein (an amazing font creator) can take someone's unique handwriting and create it into a font used by millions. If we move past just the act of handwriting, we then enter into the world of what we can do with the power of writing. It brings me back to an activity that I did with my class. There was a school district in another part of the country that decided that their high school students were "too busy" to recite the Pledge of Allegiance anymore. They just don't have time in their jam packed day. I showed my students the video of veterans who went to the school board meeting to plead with them to put it back into the school day. My students were very touched by the video and asked what could they do to help? I put the question back on them... After some brainstorming, it was decided that they would write the school board letters imploring them to put the Pledge of Allegiance back into the high school schedule. I was so proud of them! They offered suggestions on how they could make this work and asked the school board to think of the veterans. One student was concerned that their letters wouldn't be read, but another one said it didn't matter. His comment was "Just knowing we took the time to write on how we feel about this is good enough for me." :-) Yep....proud teacher moment. This year I'm going to encourage my kids to use the power of their writing again. We will find causes that are near and dear to them. Take time to write letters of appreciate to people and companies. Rediscover the lost art of sending a thank you letter. The options are limitless. And of course, I will do this using my Bic supplies!! hahaha Their colorful selection of tools is exactly what will help begin the motivation to accomplish our writing goals. I know from my experience with students that if I give them the opportunity to write in color, their desire increases dramatically. Worried about mistakes with using tools other than pencil? Fear not, Bic has white out tape that is easy and mess free to use. They sent me a variety of tools to use but here are my top three favorites. 1. 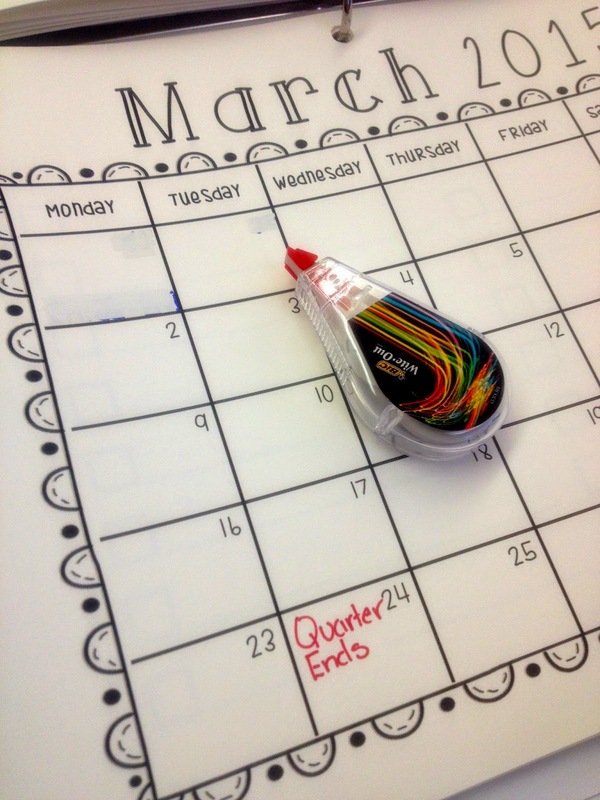 The Magic Markers: These are great for using on your whiteboard. My favorite part? When I erased it didn't leave a residue of color. 2. Wite-Out: I LOVE white-out tape. So much easier to use then traditional liquid white-out. And I'm not afraid to hand it over to my students to use. Plus it doesn't bunch up like other brands I've used. 3. The multi-color ink pens. I LOVED THESE PENS AS A KID! And they are still awesome. They are going to be perfect for our editing sessions. With all four colors at hand, the students will be able to quickly click from one color to the next to mark up punctuation, capitalization, spelling and grammar. I am a 1st grade math teacher, but we are going to be writing and saying all of our answers in complete sentences. I am using reader responses to promote writing. Im planning on doing more quick writes using pictures as prompts. We use the Handwriting Without Tears curriculum and I do writing workshop 4 days a week! Writing is HUGE in my classroom and so very important. Thanks for the chance to win! I use the Handwriting Without Tears curriculum. I also have a writer's workshop period. I am excited to implement interactive notebooks for the first time this year. I am a 5th grade math teacher, so I will be implementing my interactive notebook where the students will have to justify their answers in writing. I am going to have a peer-reviewed writing competition for my 11th and 12th graders. Thanks for the giveaway. 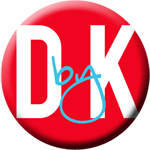 If you would like to win a $25 DonorsChoose.org gift card, you can go to my blog to enter: http://hamy10.wordpress.com/2014/08/21/why-teachers-and-students-love-donorschoose-org/ Good luck!